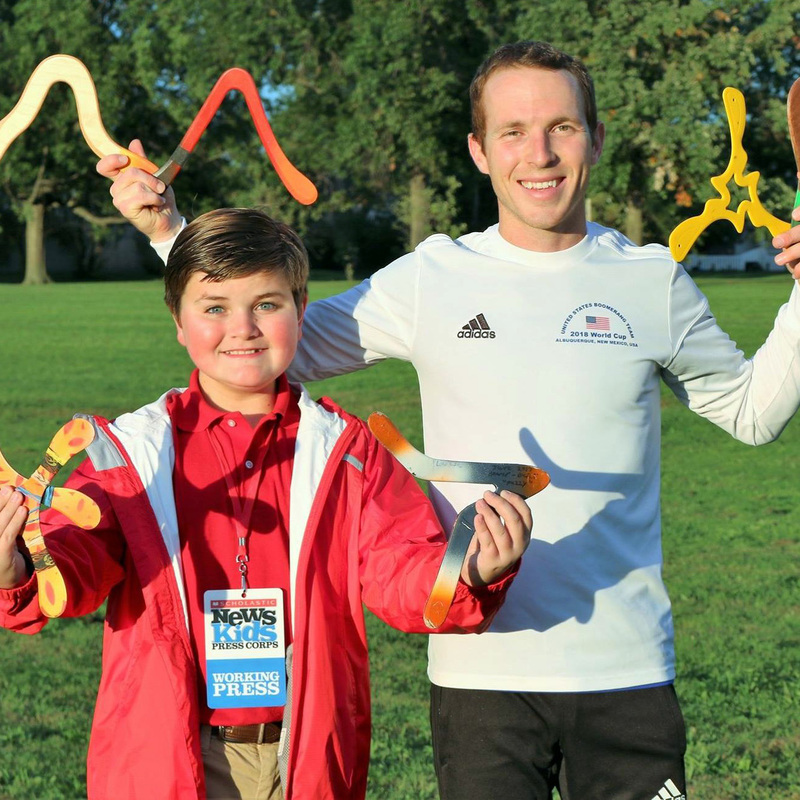 Boomerang: A Passport to the World | Kid Reporters' Notebook | Scholastic Inc.
Nolan tries out the sport of boomerang with champion competitor Logan Broadbent. Did you know that boomerang is a competitive sport? The United States Boomerang Team is currently ranked Number 1 in the world. Logan Broadbent has been a member of the team for more than half of his life. Now 30 years old, he is individually ranked Number 2 in the world. I recently met up with Broadbent at Loew Park in Cleveland, Ohio. “It’s hard to imagine my life without boomerangs because they've been my passport to the world for so long,” he said. Broadbent has had the opportunity to travel to Europe, Asia, North America, and South America for boomerang competitions. Throwing a boomerang requires strength, speed, and agility. For Broadbent, these skills have allowed him to compete successfully in other sports. He runs marathons and, with his two teammates, is currently ranked Number 1 in the world in obstacle course racing. Broadbent is also a member of the U.S. Triathlon Team. Triathlon competitions consist of swimming, cycling, and long-distance running. Broadbent’s trick shot boomerang antics were recently featured on the popular YouTube channel Dude Perfect. The viral video has been viewed more than 44 million times. He also competed as the “Boomerang Ninja” on seasons 8, 9, and 10 of NBC’s American Ninja Warrior. Broadbent demonstrates his technique with Nolan at Loew Park in Cleveland. One thing that sets the sport of boomerang apart is that competitors can make their own equipment. Wood, plastic, nylon, and fiberglass are the most common materials used to construct a boomerang.